As startups bring entirely brand new types of batteries to market, many researchers are still laser focused on the dominant form of batteries in our cell phones, laptops and early electric cars like Tesla’s Model S: lithium ion batteries. While Tesla (s tsla) hopes to use the sheer economic benefits of its planned massive factory to cut the costs of its lithium ion batteries by 30 percent, breakthroughs in science can continue to contribute to the development of even cheaper, safer and longer-lasting lithium-ion batteries. According to a report in Nikkei Technology (hat tip Green Car Reports), Japanese researchers at the School of Engineering at the University of Tokyo, in conjunction with chemical company Nippon Shokubai, are working on a lithium-ion battery with seven times the energy density of current standard lithium ion batteries. Energy density is the amount of energy a battery can store and provide for a device, or a car, for a specific battery size. 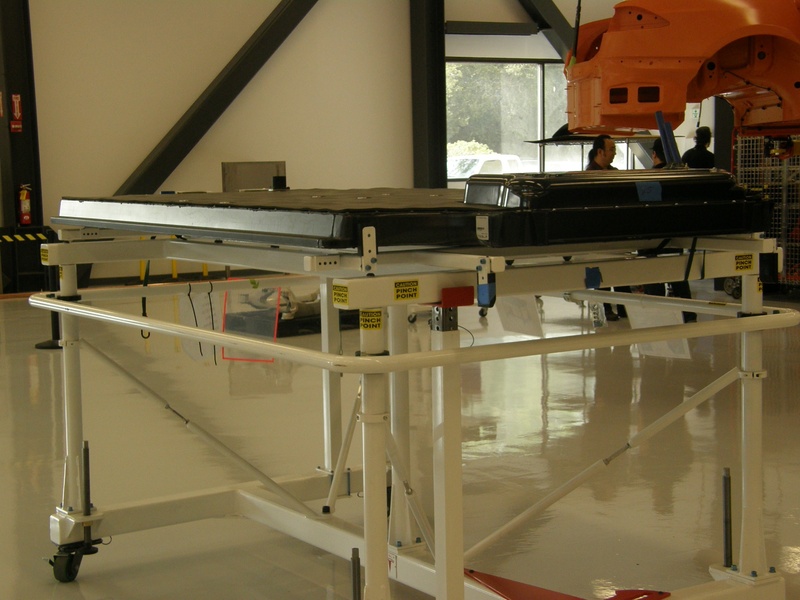 Tesla’s Model S Battery in the Alpha Build Room, image courtesy of Gigaom. 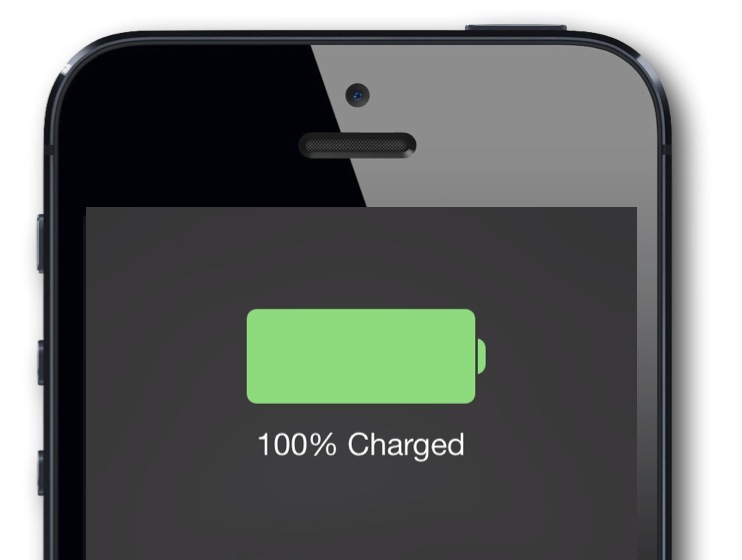 The more energy dense a battery is, the smaller and lighter the battery can be that powers the objects\. This is important for electric vehicles, because lighter vehicles can have a larger battery range, but it’s also important for making cell phones and tablets ever smaller and thinner. The Japanese researchers, led by Professor Noritaka Mizuno, developed the energy dense battery by adding cobalt to the lithium oxide crystal structure, creating a new material for the positive electrode. The material on the positive electrode creates a new type of battery design based on an oxidation-reduction reaction (the loss and gain of electrons) between oxide ions and peroxide ions. Batteries have a positive and negative electrode and an electrolyte that helps shuttle ions back and forth to charge and discharge. Lithium-ion batteries have a high energy density compared to basic lead-acid batteries (those are the kind used to start gas-powered cars), but next-generation lithium batteries could have much higher energy densities. Lithium-air batteries that use lithium for the anode, air as the cathode (which is drawn in from the environment) and a liquid electrolyte could have an amazingly high energy density. Other innovations like the one startup Envia has been working on are supposed to one day make a lithium-ion battery with an energy density of 400 watt-hours per kilogram, which (in theory) could deliver a 300-mile range electric car (compared to the 200-mile range available today). A thin-film energy storage device retains its battery- and supercapacitor-like qualities even after being flexed 1,000 times. Photo courtesy of Jeff Fitlow/Rice University. Researchers at Stanford University, led by Professor of Material Science and Engineering Yi Cui, are working on a battery with a pure lithium anode (the negative electrode). A typical lithium-ion battery has a cathode (or positive electrode) made out of a lithium-metal oxide, such as lithium cobalt oxide, and an anode (negative electrode) made of graphite or silicon. The electrolyte shuttles lithium ions back and forth from the positive and negative electrode. By making the anode out of lithium, a battery could operate more efficiently and with a higher energy density. Prior researchers have tried to make the anode out of lithium but one problem is that lithium ions expand as they gather on the anode during charging, causing hair-like growths called dendrites that short-circuit charging. Another issue is that lithium reacts quickly with the electrolyte. The Stanford researchers, whose findings were published in Nature Nanotechnology recently, solved these problems by building a nanotech honeycomb of carbon domes on top of their lithium anode. They call it a nanosphere layer. While boosting the energy density of lithium ion batteries is important, some researchers are also looking closely at the speed at which the batteries can charge. Fast charging could have important implications for electric cars as well as gadget batteries. Researchers at the University of California, Riverside, led by Professor Wei Wang, are working on a new lithium ion battery design that they say can charge in 10 minutes. 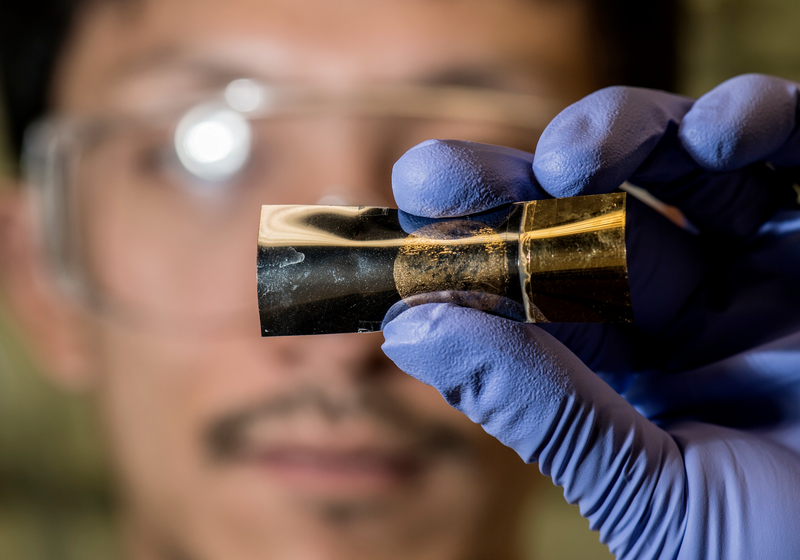 They’re using a silicon anode instead of a graphite anode, and they say that such a battery can be 40 percent smaller with 63 percent more capacity. Will the lithium ion battery be the dominant battery form for many more decades to come? Tesla thinks so, which is why it’s investing billions of dollars into a massive lithium ion battery factory. And thanks to these types of scientific innovations, the lithium ion battery will get even better over the coming decades. Of course, these innovations are still in the research phase. It’s one thing to have a lab breakthrough and another to get these designs into commercial batteries. But the battery startup market is particularly hard. We reported last week that next-gen lithium ion battery startup Leyden Energy, which was venture capital-backed, is in the process of selling off its patents and equipment.